Though the Mission PhotoVoice Exhibit took place in 2016, housing insecurity continues to severely challenge families in San Francisco. Housing security can be defined as the extent to which an individual’s customary access to reasonable quality housing is long lasting. Examples of housing insecurity include homelessness, high housing cost, overcrowding, frequent moves, being behind on rent and poor-quality housing. For examples of housing solutions, please go here. 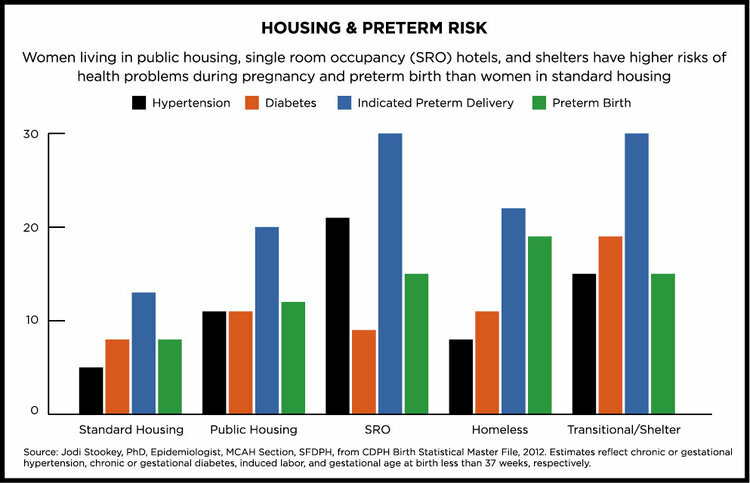 Housing insecurity of pregnant women is also linked to preterm birth, which contributes to infant mortality and may influence lifelong health outcomes. Poor quality environments are related to negative birth outcomes, including higher preterm birth rates (delivery before 37 weeks gestation) and low birth weight infants. 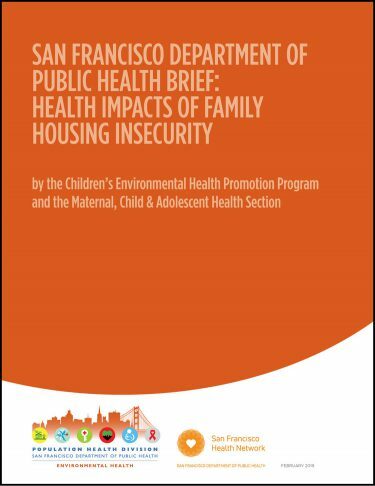 In San Francisco, the instability of the mother’s housing is also correlated with adverse health problems during pregnancy and preterm birth outcomes. African American women are particularly at risk for experiencing these negative birth outcomes, and this disparity is evident in San Francisco as well. Development occurs over one’s life course and developmental milestones are universal across infants and young children. Core components include physical (growth), cognitive (language, math, reading and critical thinking) and social and emotional (inter-personal and intra-personal) development. An infant or young child’s environmental context (housing, social economic status, policies) highly influences everything about their brain development. 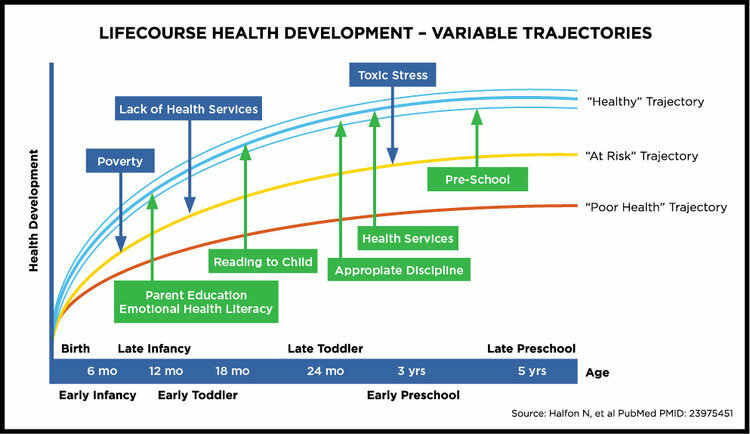 Brain architecture established during the first years of life is the foundation for all future learning, health, and behavior and toxic stress can impact those critical periods of development. Children who experience toxic stress during their critical developmental periods are at risk for damaging the neurologic architecture of their developing brains, leading to life-long problems in learning, behavior, physical and mental health. They are also more likely to exhibit health damaging behaviors and adult lifestyles that undermine wellbeing. Child neglect and housing insecurity synergistically add to a child’s toxic stress. 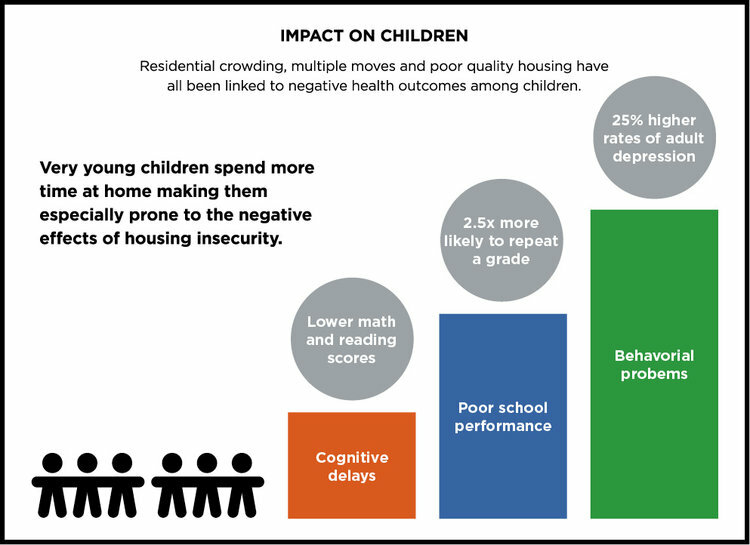 A research study examining housing instability and unaffordable housing using data from the Fragile Families and Child Well-being Study found that housing instability is directly associated with risk for child neglect (12% point increase). By age 5, housing instability and unaffordable housing has indirectly increased the risk for child neglect through maternal stress (< 1% point increase). 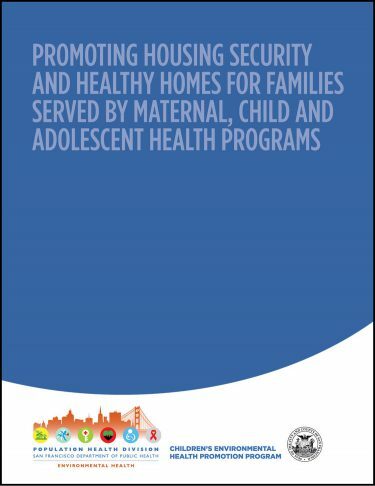 Children who are at risk for neglect were significantly more likely to have families who are experiencing housing instability and unaffordable housing, with their mothers reporting higher maternal stress when compared to other parent participants. Families of color in San Francisco experience an additional contributor of housing insecurity—institutional racism. As housing access and quality are proven social determinants of health, it is understood that those conditions contribute to the racial disparities seen in health status.